Our concept is ‘Make your tree run debut.’ With easily-found courses, quick access and smooth exits. It’s a one-stop destination for tree run-lovers of all abilities. Madarao is located in the northern part of Nagano Prefecture, between Nozawa Onsen and Myoko Kogen. 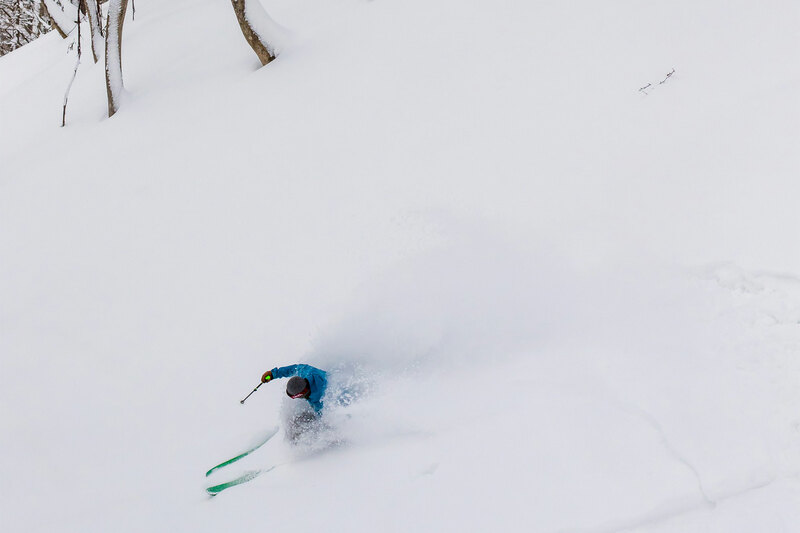 There are 13 official Tree ski courses, more than any other ski resorts in Japan. Without much competition for the slopes, and 60% of the courses being ungroomed, there is a good chance youʼll enjoy deep ﬂuﬀy powder. Mt. Madarao stands 1382 meters tall and has 30 separate courses. There are 15 ski lifts at the resort. The ski area features a unique bowl-shape. Since Madarao was host to Japan’s first Freestyle Skiing Competition, there are many unique courses to choose from. There are groomed courses, ungroomed courses, the Tree Run courses, Free Ride Park, Kid’s Park, and wave courses – Madarao can be enjoyed by everyone from first timers to advanced skiers! Further, at the top Madarao is connected to the Tangram Ski Circus ski hill and a joint ticket is available to let you ski or snowboard on the slopes of both ski resorts.